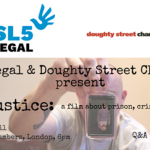 Doughty Street Chambers & SL5 Legal present Injustice: a film about prison, crime and us. 2016-17 saw the worst prison riots in decades. Across the country the prisons estate exploded. The flames of the riots cast a light on the so-called prison crisis. Injustice investigates the crisis, and delves into the world of prisons, crime and the judicial system. Ex-prisoners, activists, criminologists and even prison governors tell us who the prisoners are and why they are inside. We hear what happens inside, and outside. Injustice asks what prisons are supposed to do and what they actually do. 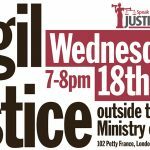 SL5 Legal and Doughty Street Chambers have invited the director of Injustice to join a panel of speakers to discuss the film. There will be an opportunity for questions from the floor. There will be a short reception at 6pm, followed by a screening of the film and discussions. This is a free event for Members of the APL. Spaces are limited so early booking is advised. Please reserve you space HERE. Prison Law Update: The aim of the event is to provide prison law practitioners with an opportunity to refresh and update their knowledge in relation to recent prison law judgements. 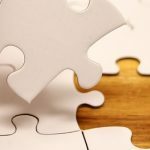 Legal Aid Update: Including developments on CBAM which widens the scope of what is now covered under legal aid. 2018 Caselaw and Current Developments in Prison Law / Worboys – Judgment Update. Sally Middleton (The Association of Prison Lawyers, Birnberg Pierce) & Dr.Laura Janes (The Association of Prison Lawyers, The Howard League for Penal Reform). Legal Aid update, including developments widening legal aid under the Criminal Bills Assessment Manual.